On Satruday, June 25, the Regina Combines played their first game of the 2016 season. They traveled to Saskatoon to take on the newly resurrected Wild Oats rugby team. After an extremely wet warmup, the two teams started their game a bit delayed due to lightning. The Oats kicked off their dust quick and got the first try of the game not long after kickoff. 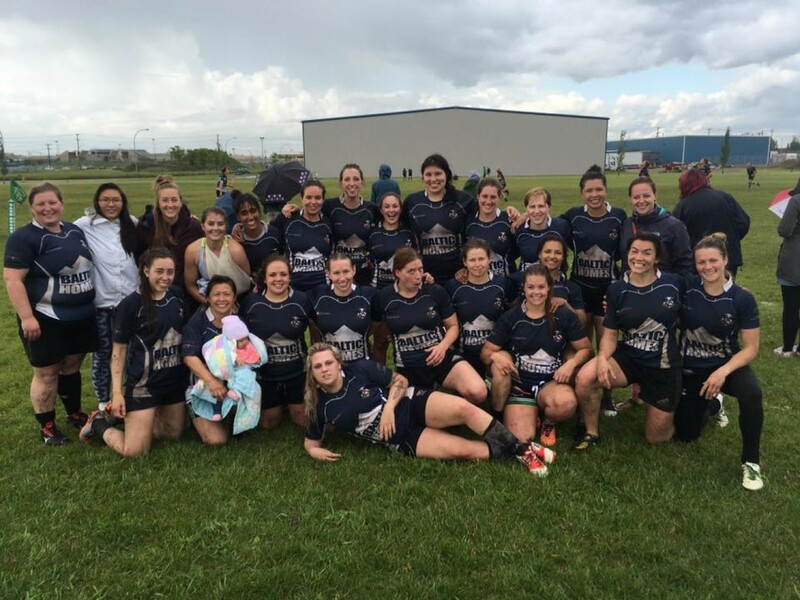 The Combines used their elusive, hard running, and big hits on defense to keep the Wild Oats Women at bay and pulled together quickly to return 7 unanswered tries. Regina Rogues very own Jess Barre scored two tries, Sara Einerson, and Mikayla Ward, each scored a try of their own by the end of the game. Final score of this extremely muddy and well fought match was 35-5.